You will be surprised with the release of Hyper Cell for Windows Phone first, because it doesn’t happen often. Windows Phone users will be excited because this game is first releasing for Windows Phone and then for iOS and finally for Android. It is usually the way around. It is the minimalist survival performer and if you are interested in lasers and electronic music then you will definitely enjoy this game. Hyper Cell is very easy to play. When you start the game you will be shown a little warning, saying “Some players may be sensitive to the effects, so please play with caution”. 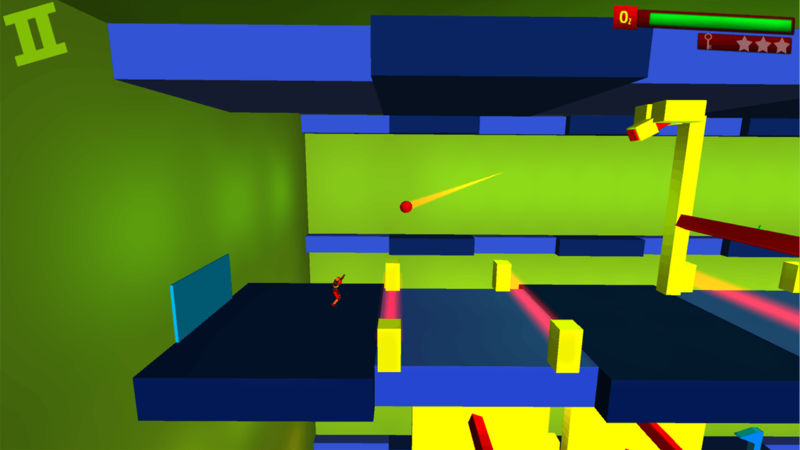 The main goal of the game is to get to the end of the level without getting affected by lasers or crushed by the moving blocks. All this needs the good timing and reflexes and you will need to run, fall and jump at the right timings. When you are playing you are Oxygen levels are depleting, so you need to finish the level in time. When you failed to cross the level and die in the middle then you can start from the checkpoints. Running out of the checkpoints will bring you back to the beginning of the level. The difficulty of the game will be increasing with the change of the levels. Game visuals are very minimalistic and the game screen does not have lots of details. The background of the game will be constantly flashing and the background music goes fast with non stop head-nodding beats. Currently the game is launched with 9 levels and more levels are to be released with the further updates. It is available for free and is ad-supported and in-app purchases are there in the game. All the levels can be played without making any purchase, but they will provide the boost when needed.